Angry Youths have invaded, wrecked and looted the Rivers state secretariat of the All Progressives Congress, APC, as conflicts rocks preparation for tomorrow’s ward congress of the party. The youth uprising which started as a protest against perceived hijack of the congress process degenerated into looting after the festering violence forced the state executives of the party to escape the secretariat. Meanwhile the police is said to have arrested some of the suspected invaders of the secretariat allegedly including Member Representing Ikwerre/Emohua Federal Constituency, Chidi Wihioka. Chris Finebone, Publicity Secretary of Rivers APC said, “The destruction you see here tells the story of what happened. 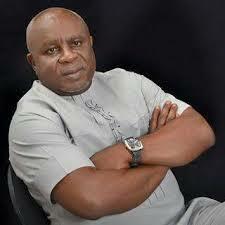 The police have arrested some persons, including Chidi Wihioka, a federal lawmaker”. He said the entire office has been looted. Computers, ACs, flags, furniture, every property were looted. “You can see the windows shattered. The only thing they failed to do was burn the place down. They brought a drum of diesel for the purpose but the police stopped them”, Finebone said. Nnamdi Omoni, Police Public Relations Officer, Rivers State Command, who was at the scene of the incident declined comment, appealing that he needed clearance from his boss before offering a statement.